Hi, and welcome to March’s News from the NEST! March marks the start of Spring, so in honor of the season (Winter seems to be more honorary than actual this year anyway), Digital NEST is getting active. This month we’re getting ready to run in the Human Race and hosting career skills-building workshops. Click on a link in this newsletter or drop us a reply if you’re interested in getting involved! 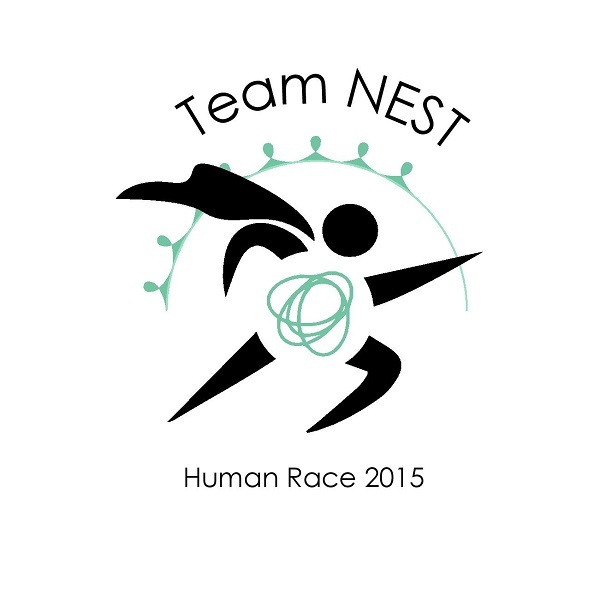 Each year, non-profits in Santa Cruz county form teams in the Human Race, a 5 mile walk-or-run, to raise funds for community efforts.Be a tech-ed superhero this May & join Team NEST! Funds raised ensure that Digital NEST is a free space open to all our community’s youth pursuing high-tech careers. Digital NEST is participating this year, our first, and we invite you to join our team. The theme is superheroes; your best costume is encouraged (secret identities will be safe with the team). Grab your cape and comfortable shoes, bring friends and come aboard Team NEST here! Keep in touch! We’ll be hosting an informational meeting later this month and a pizza party for Team Members in April. Donation link is here as well. 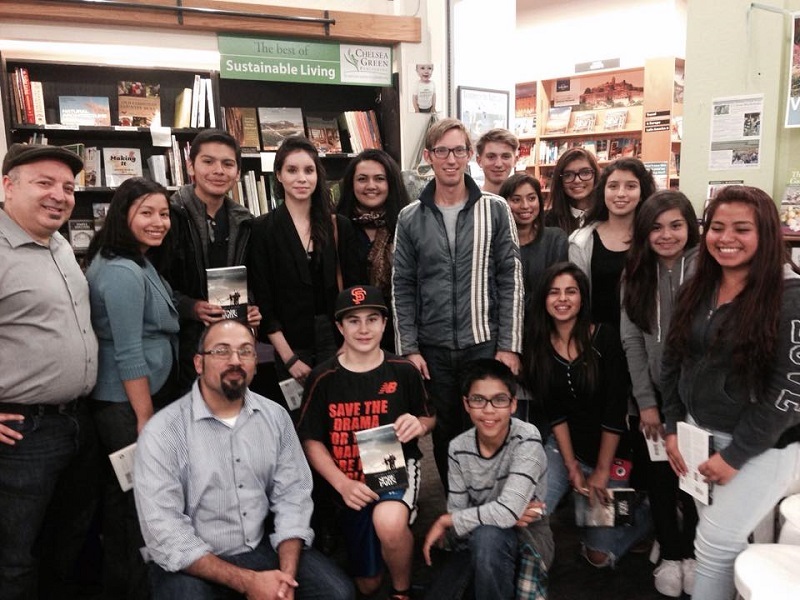 Author Joshua Davis came to speak at Bookshop Santa Cruz and met with Digital NEST members. His reporting on the true story of four undocumented Latino high schoolers overcoming incredible odds to win a national robotics competition is inspirational to all who wish to pursue education in the US, citizens or not. Davis was also great fun to meet in person. Brandon Gruber is a local teen with Down Syndrome and a goal of building inclusiveness for all in our community. 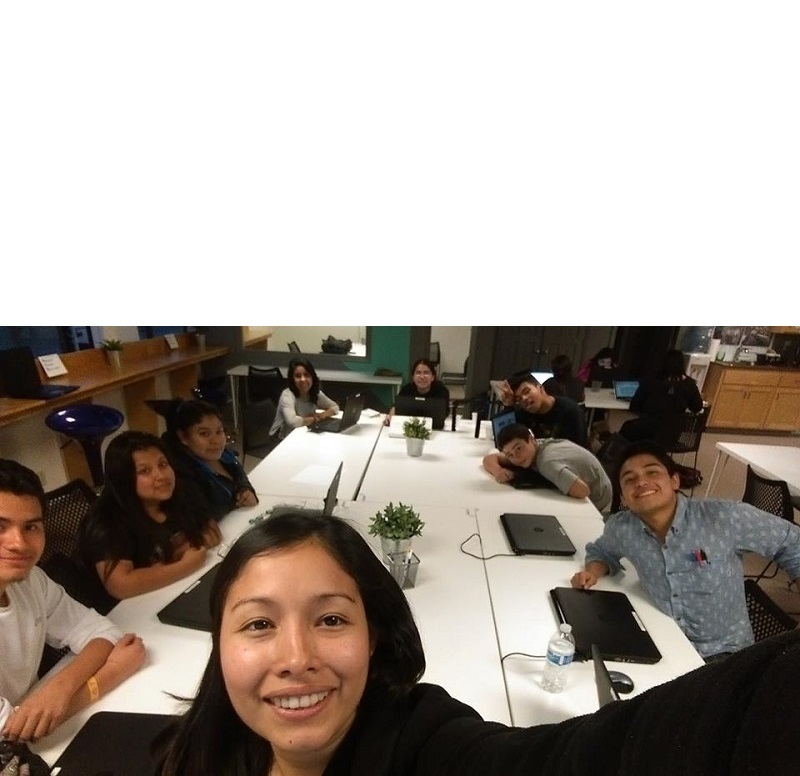 In February, Brandon and his mother Teresa approached Digital NEST to hire a team of members to document how his group, 321Life, raised the money and support for low-income youth to go to a winter formal for their first time. NEST Members Ricardo and Laura joined them and produced a short promotional film for 321Life. For the month of February, a team of members explored the basics of building a website, based on the non-profit Guitars Not Guns.This month, they’ve split into smaller teams, working in partnership with three community organizations to build skills and websites. Digital NEST is developing infrastructure now for members to start taking on paid client work sometime this spring–stay tuned! 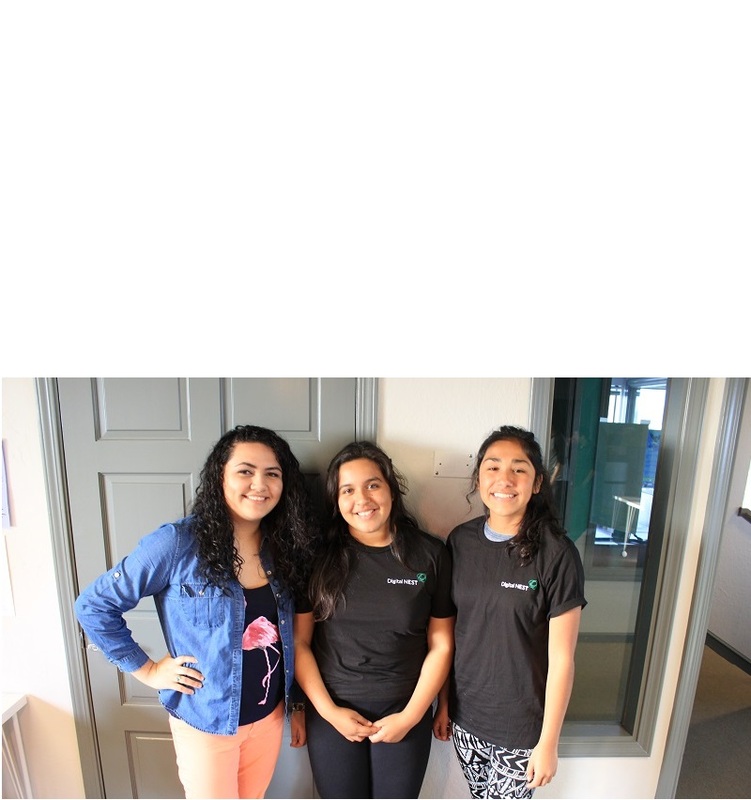 Stephanie, Ana, and Perla are the founding committee for Digital NEST’s Girl Group. They aim to build a team here for all girls in the community interested in pursuing tech-related careers. “We’re working to change the perception of women in tech,” says Stephanie. Perla adds that “Girl Group wants to welcome all women and girls from 12-24, and we’re recruiting.” The Group concludes by saying that they’re planning projects and looking for more girls to join. Expect to see their promotional short film this spring. For more information and how to get involved, email us here. This month in workshops we’re focusing on the fundamental job skills: resumes, networking, interviewing–and a workshop introducing how to leverage LinkedIn, run by presenters from LinkedIn. Keep an eye on our calendar page–if you’re a member or want to be one, be sure to sign up for a workshop. On May 16th, Digital NEST is hosting an afternoon garden party of local wine, photography by Santa Cruz photographer David Dennis, & Latin music by Cuatro con 3! For more information, please visit our Facebook page for the event. Again, thank you for being part of Digital NEST. We hope to see you soon!